Little Girls is a study in contrasts. 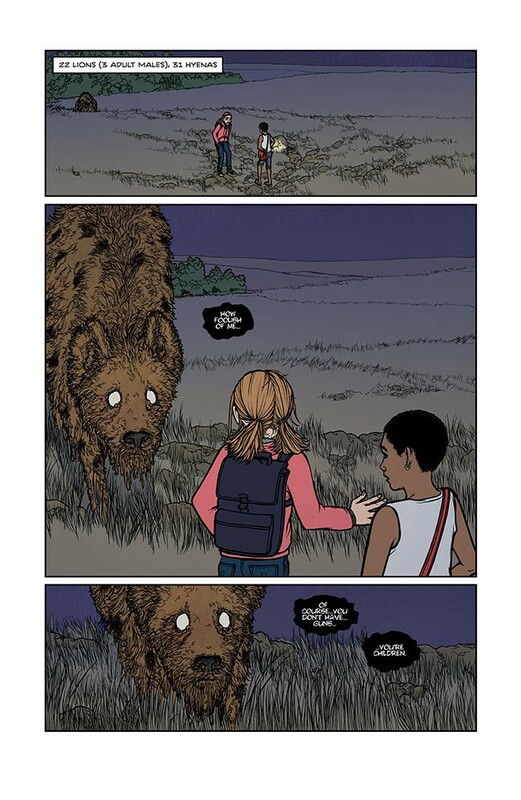 Sarah DeLaine and Nicholas Aflleje’s original graphic novel pits two grade-school friends, Sam and Lielet, against an ancient evil stalking the wilderness of Ethiopia. The narrative simmers with tension as the girls naively sing, play, and clash with school bullies while an ominous force pulls them deeper into a folklore nightmare that becomes more surreal—and perilous—with each passing night. DeLaine and colorist Ashley Lanni-Hoye construct a world of suburban safety before segueing to the shadow-drenched East African plains. The ensuing journey tears down the illusion of childhood safety as ancient supernatural forces encroach. Aflleje and DeLaine walk through their inspiration for Little Girls and their unique approach for crafting subtle horror. This is your first major work in comics; what makes Little Girls perfect for this medium? 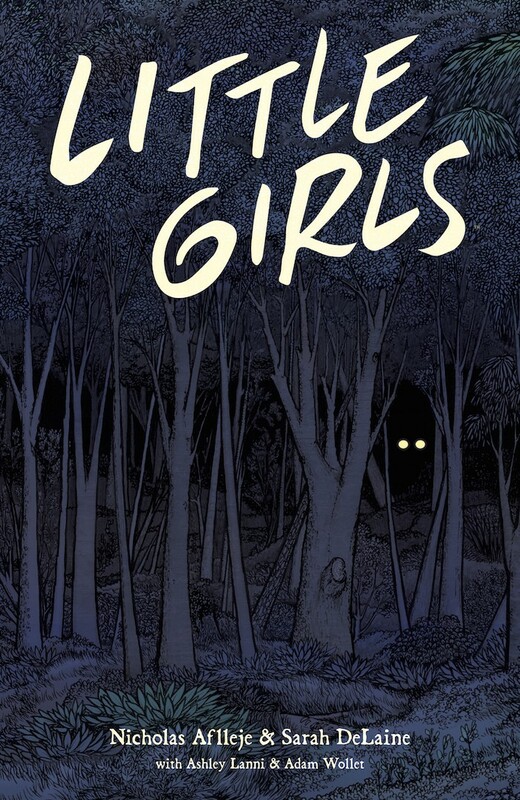 Nicholas Aflleje: Every bit of Little Girls is tangled up in the idea of comics in some way. It's basically a friend's blood oath from us to comics in general. It consists of things we wanted more of from the medium, as well as things we already adored about it. Little Girls revolves around African folklore, primarily the cryptid Kerit. What drew you to this creature and mythology? Aflleje: There was a news article about a farmer whose livestock had been repeatedly preyed upon by some unknown creature that was only eating their brains. The reporter believed that it was the work of some sick animal trying to fix a nutrient deficiency. The farmer insisted that it was instead something called a Nandi Bear, and he was worried that the thing was becoming more clever after each attack. The way the article dropped that piece of information like it was just some obligatory addendum had me hooked almost instantly. Sarah, you use off-panel reactions and repeating panels through the graphic novel. Can you talk about your approach to building suspense? Sarah DeLaine: Honestly, a lot of that came down to the awesome script that Nicholas wrote. Before we even began the project, we talked a lot about the nuts and bolts of creating comics. One of the reasons we both appreciated titles like Jeff Smith's Bone was for its pacing, that it wasn't afraid to let some moments really breathe. With a graphic novel, you have the space to embrace all that expansiveness. Suspense is found in the quiet moments, not in the action. Nicholas, how did you capture the voice of adolescent girls? There’s a huge contrast between their conversations—starting a band, slasher movies—and the peril they face. Aflleje: I have mostly my nieces' participation to thank for that. A few unstructured interviews and some immersive observation helped me lock down a level of flow and cadence with the dialogue that I could feel comfortable with. I also held a job as an after-school group leader, which I'm sure informed the characters' behavior on some level as well. Their casual conversation topics are a coping mechanism against being overwhelmed by the enormity of the obstacles they face in the story. This is a tactic I find often employed by the inexperienced that is surprisingly effective. What research did you do to capture the animals and setting of Ethiopia in 2004? Aflleje: I like to have two research folders for projects like this. There's one for facts and one for the anecdotal in order to (for lack of a better term) capture the two truths. I had a teacher who hammered in the whole Apollonian/Dionysian dichotomy throughout high school that obviously left an impression. DeLaine: The hyenas were first. I had to figure out how to draw a decent hyena to begin with but also express their animal "personality," or at least their intentions through posture, even though my style isn't very cartoony. That meant lots of videos of hyena/lion altercations to watch how they interacted. For the setting, Nicholas first pointed me in the direction of some interesting history about Harar and the region to begin with. Then I checked out some of the landmark buildings and architecture styles and basically scoured the web for photos that would show me what the random side streets or outlying areas might look like and drew amalgamations of what I found. Sam, Lielet, and African mythology leave a fairly open canvas. Would you ever return to the world of Little Girls? Aflleje: We originally made this with the intent of being a stand-alone story. I know it's never say never, but I also respect the fact that, historically, I'm usually pretty stubborn about this sort of thing. It's basically up to Sarah. 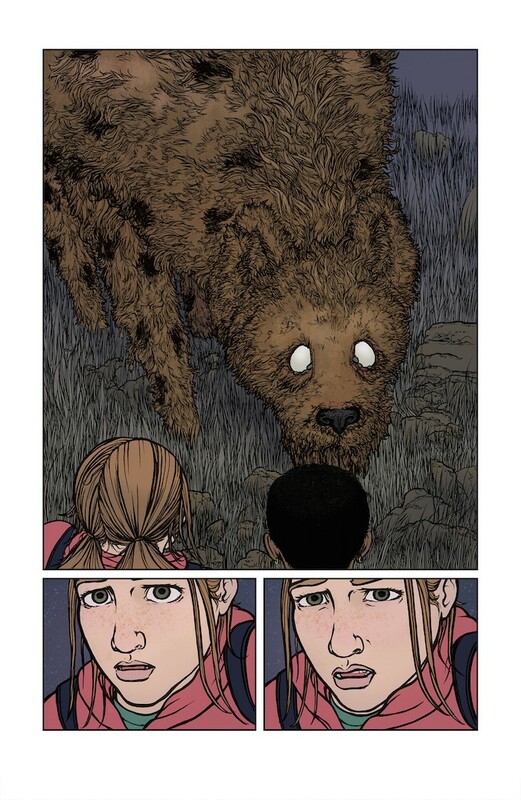 What can you promise readers in your debut graphic novel?